Mantelpiece size labels were stuck onto cardboard boxes that measured 110 mm by 76 mm by 36 mm. 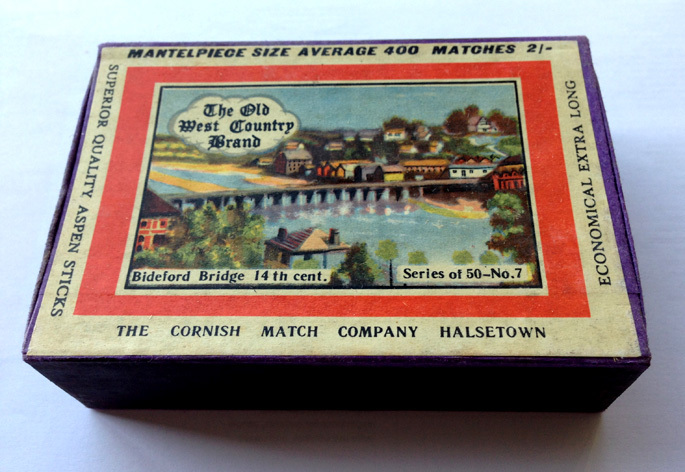 Only one actual example of a complete mantelpiece size box is currently known to exist for the Old West Country series. However, printers proofs of three illustrations exist (and carry the Cornish Match Company name rather than Two Counties Match Company). Click here for a list of all Old West Country labels.